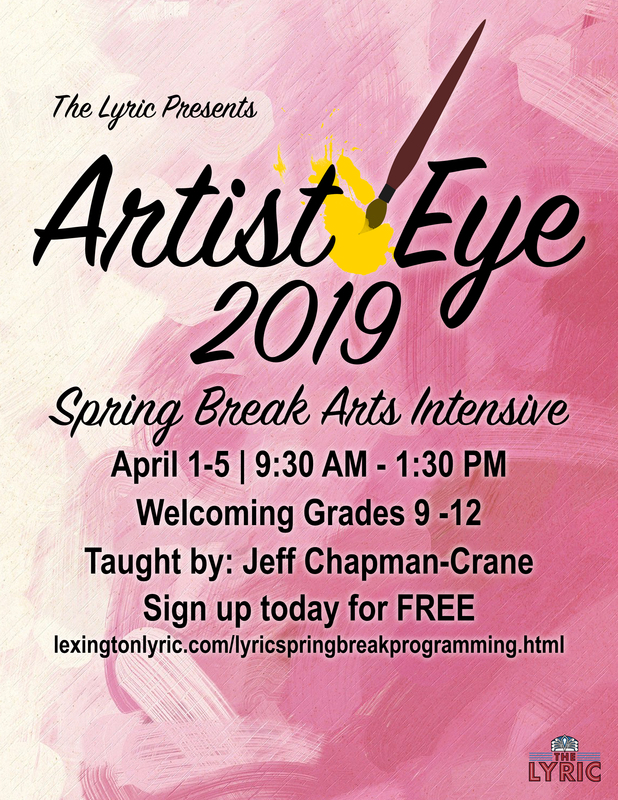 In collaboration with local artist Jeff Chapman- Crane, The Lyric Theatre and Cultural Arts Center is proud to present to you our 2019 Artist Eye Spring Break Intensive. This year's focus will be on a photo realism approach to painting, as well as building conceptual ideas for the growth of the East End neighborhood in Lexington. To enroll for 'The Artist's Eye' 2019 program, please fill out the form below.